Meet The Team | Ganado, TX | Joe Lynn Bonnot, D.D.S. 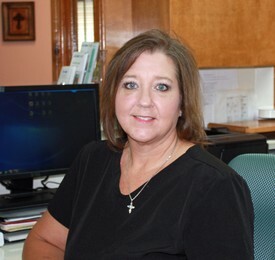 As Office Manager, Sharon has served our dental practice in many capacities. Sharon and Dr. Bonnot were married one month before he entered University of Texas Dental Branch in Houston. During his four years of dental school, Sharon worked as a Word Processing Technician, typing research papers for a number of medical doctors who were doing heart research jointly for Baylor College of Medicine and The Methodist Hospital on a grant from the American Heart Institute under Dr. Michael DeBakey and Dr. Antonio Gotto, et. al. Sharon was cited for her assistance in their book, The Living Heart Diet. When Dr. Bonnot completed dental school and was awarded his D.D.S. (Doctor of Dental Surgery) degree, Sharon was also awarded her P.H.T. (Pushing Hubby Through) degree. After the initial start-up of our dental practice, Sharon took a less active role during their three children’s preschool years, returning to work full time in the practice over 23 years ago. 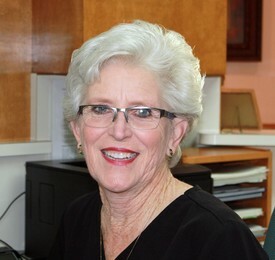 Sharon enjoys the hometown atmosphere of our community and our dental practice. Sharon says, “God has brought many blessings to us through our staff and patients, as we now serve the third generation of our dental family. We pride ourselves in knowing our patients by name and are concerned not only with their dental health, but their overall wellbeing.” In her spare time, Sharon enjoys reading, cross-stitching, playing with their grandchildren, and participating in mission/outreach opportunities as needs arise. 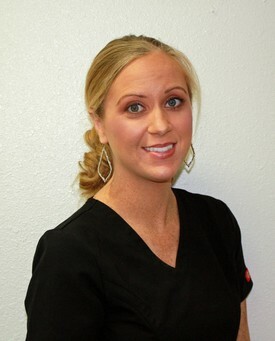 Kari graduated from the Blinn College Dental Hygiene Program in 2010. 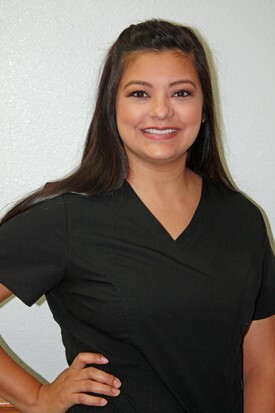 She was awarded the Hu-Friedy Golden Scaler Award for her clinical skills, and she was also the recipient of the Blinn College Dental Hygiene Community Service Award for her leadership and service to the local community. Kari enjoys learning and loves sharing that knowledge with her patients. She decided to continue her education and graduated from Texas Woman’s University with a Bachelor of Science in Dental Hygiene in 2013 and a Master of Science in Health Education from Texas A&M University in 2015. Gig’em Ags! Kari is a member of the American Dental Hygienists Association and the Texas Dental Hygienists Association. Through her yearly continuing education courses for her dental hygiene licensure, Kari has learned that orofacial myofunctional disorders (OMDs) affects 38% of the general population and 81% of children with speech issues. Kari has taken coursework in orofacial myology and is currently a certification track orofacial mycologist which now enables her to provide therapy services for patients with OMDs. When Kari is not working or learning you will most likely find her outdoors with her husband, Brent. She enjoys gardening, being on the water, sports, baking, and spending time with friends and family. Jennifer is a native of Jackson County, and previously worked at Wal-Mart Pharmacy in Edna for 17 years as a registered pharmacy tech. She has been employed by Dr. Bonnot as Treatment Coordinator since 2013. She is the mother of 3 kids, Marleigh 17, Markus 7 and Malachi 5, they are all in school and she is blessed that she is now able to attend most of their school activities which is very important to her. She volunteers when she can to help out with school functions. Jennifer also loves to help her husband, Justin, on the ranch, working cows and helping with other projects he may have going on. Jennifer is a member of First Baptist Church in Edna, where she teaches the Kindergarten Sunday School class and enjoys it very much, there are a lot of times she feels like the children teach her more than she teaches them. She also likes to be a host home for an Encounter weekend for the youth. She says, “It is always such a blessing opening our home to them and getting to know them on a more personal level.” Jennifer really loves her job and enjoys coming to work each day, and that is very important to her. 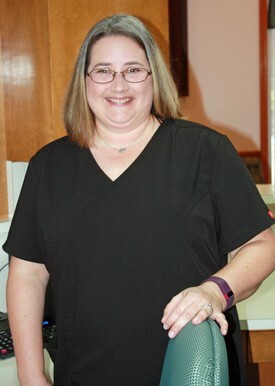 “We are a team at Dr. Bonnot’s office and always try to help each other out whenever we can, we are a work family not just co-workers.” She enjoys interacting with each patient that comes into the office and it is so rewarding to see patients happy about how we have taken care of their dental needs. 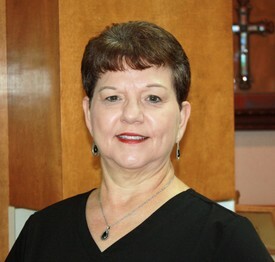 Marcy has been Dr. Bonnot’s dental assistant for the last 3 years. When Marcy is not working perfecting the smiles of her community, she enjoys hunting with her husband Paul and spending time with her two children, Camila (5) and Dylan (14). Marcy volunteers for many of her children’s extracurricular activities where she shares her smile with those she meets. Marcy is currently considering returning to school to become a dental hygienist, something she has always dreamed of becoming. Helping Dr. Bonnot’s team create their patients’ many smile makeovers has increased her desire to make that dream come true. Kathy Graduated from the Victoria College Nursing Program in 1981. Throughout her nursing career, she has held various management positions in hospital, clinic and home health settings. In addition to her nursing career, Kathy now owns her own business, Life Change Wellness, promoting weight loss and wellness through the use of all-natural supplements. She loves helping people and teaching them about healthy lifestyles. Kathy and her husband, Al, have been married since 1981 and have two grown daughters. Kathy is one of the newest members on Dr. Bonnot’s dental team and looks forward to learning all aspects of the practice. She says, “I’m learning how important the mouth is to whole body wellness by seeing how the team here at Dr. Bonnot’s improves one’s smile and gives our patients such positive outlook.” She is also active in her church and currently serves as chairperson on the board of directors for St. Paul Lutheran Preschool in Edna. Outside of work and church, she enjoys gardening and spending time with her family and pets.